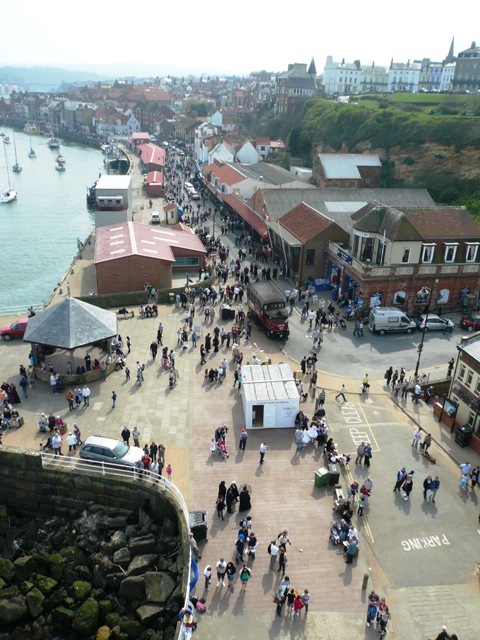 Whitby Lifeboat Station, like all RNLI stations endeavour to raise funds which fund the work of the RNLI. 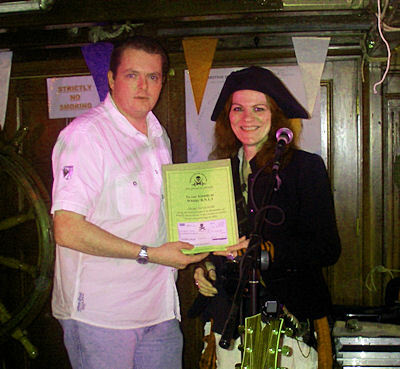 Each year stations come up with fundraising events over and above the annual flag weekend. The crew is supported by a wealth of volunteers whose aim is help maintain to high profile of the station as well as raise the vital funds. One such body of volunteers the "Friends of Whitby Lifeboat" or FOWL as they are known work tirelessly away in the background. I intend adding another page soon detailing the body, however in the meantime I have added simple but effective fundraiser's schemes below. This years annual SOS fundraising day was held onboard the Grand Turk, the Grand Turk is the ship used in the filming of the drama series Hornblower and was moored within the confines of the harbour until its recent sale and move to France. 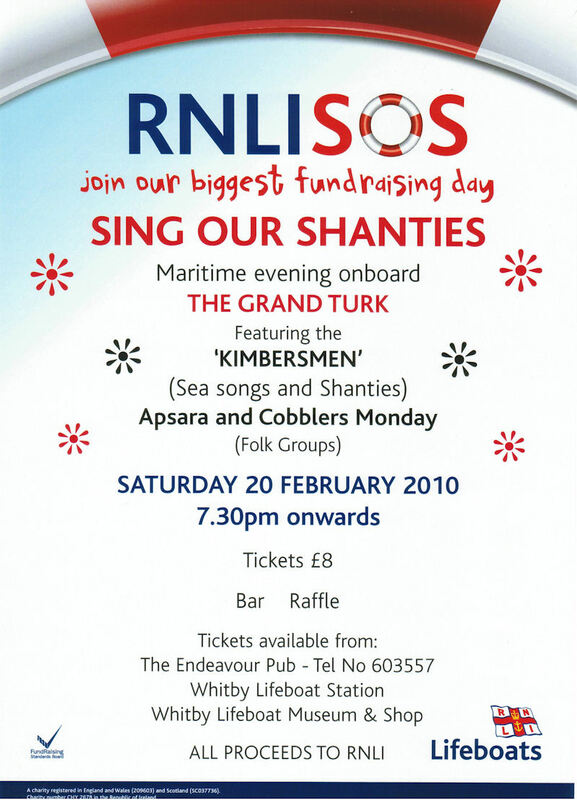 The Sing Our Shanties concert held aboard the Grand Turk on Saturday 20th February. The concert was headlined by Kimbers Men from Halifax who offered to do a concert over winter. 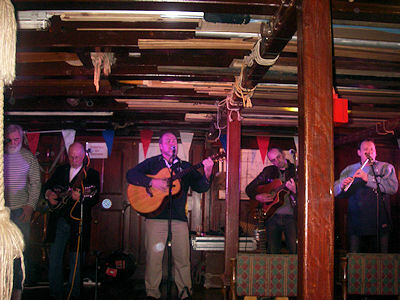 Also singing was Coblers Monday, the crew of Grand Turk with a guest appearance by Jimmy Magean who is well known on the shanty circuit. The evening was a total sell out and a great success. 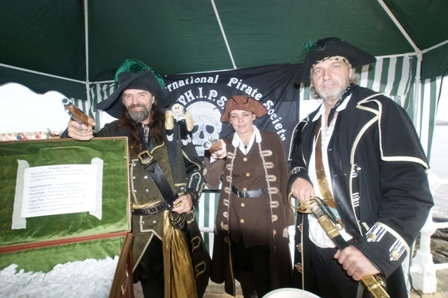 The Whitby International Pirate Society were also there to support the event & presented the crew with a cheque for £450, raised throughout 2009 at various events and gatherings. The total amount raised is still being counted but it was very successful. It was by all accounts a fantastic evening and was well supported. On Friday 19th February staff from DHL Supply Chain in Normanton presented a cheque for £1,048 to the RNLI station at Whitby. The money was raised by DHL staff last autumn through a five a side football match, cake and book sales, the sale of signed rugby shirts and balls, a sponsored chest wax and a Christmas raffle. DHL General Manager, Gillian Townsend-McGlade, with her colleagues Diane Ellis, Tony Anderson and Tony Bentley who organised the events, presented the cheque to the Coxswain Mike Russell and station Treasurer David Johnson. He said"I". Afterwards the group were given a tour of the station along with both the inshore and all weather lifeboats. The money is likely to be used for staff training. 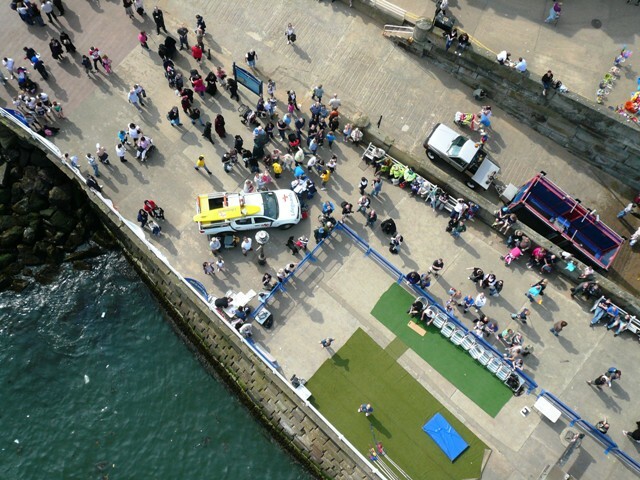 Saturday the 24th April was chosen as the date for the annual Bungee Jump usually located close to the old lifeboat station and bandstand the attraction proved very popular. 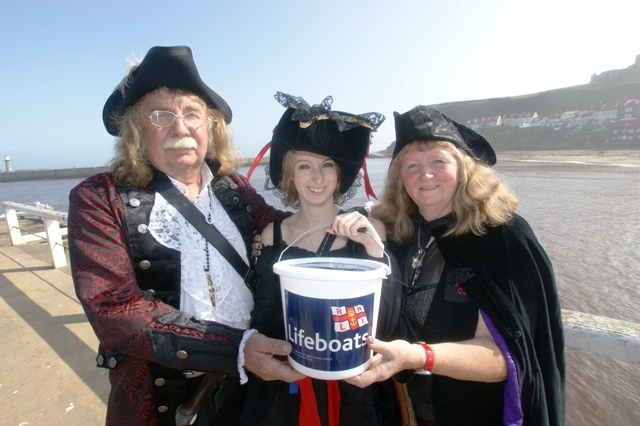 The fundraising jump coincides with the first of two 'goth' weekends when the town is inundated with a large contingent dressed in a hugely popular Gothic style. I was asked to cover the event by the RNLI and have a wealth of photographs, I plan to exhibit them on this website but have placed the following two photographs to give some idea of how daunting the view can be from the top. The view from the top looking back along Pier Rd. The last look down before a courageous leap of faith. Despite some varied weather during the 7th and 8th of August, the weekend was quite enjoyable, this was the first time my wife (Jane) and I chose to be part of the collection team. On the Saturday we had quite a busy day, during which we stayed out for around four and a half hours. Jane had the standard tub / bucket, whilst I went for the smaller cardboard 'lifeboat' collection tub. Jane seemed to be far busier than I was and on the Saturday collected just over £143 compared to my £53. We both found Sunday more of a challenge and although it was the main day we both collected far less than the previous day, Jane collected just over £52, whilst my efforts amounted to just over £22. In all we collected just over £270 between us, which we felt was really good for our first year going towards the £8190 raised over the weekend. It seemed as though there were fewer collectors this year, and I would encourage you to try it for yourself, it was an interesting experience. I have it on good authority that it was a hectic day with visitors keen to look around the offshore lifeboat George and Mary Webb and the inshore lifeboat O.E.M. Stone III. The crew were on hand to chat with everyone as were members of the friends of Whitby Lifeboat who were happy to answer the many questions thrown their way. The Bandstand area was the usual hub of activity will be used to host fundraising stalls such as the very popular tombola stall, cake stall, book stall, model lifeboats and classic cars etc. The Sunday display included both Whitby's boats along with the Atlantic class lifeboat from Staithes and the Runswick Bay Rescue boat. Unfortunately operational requirements prevented an RAF Seaking Rescue helicopter from taking part. 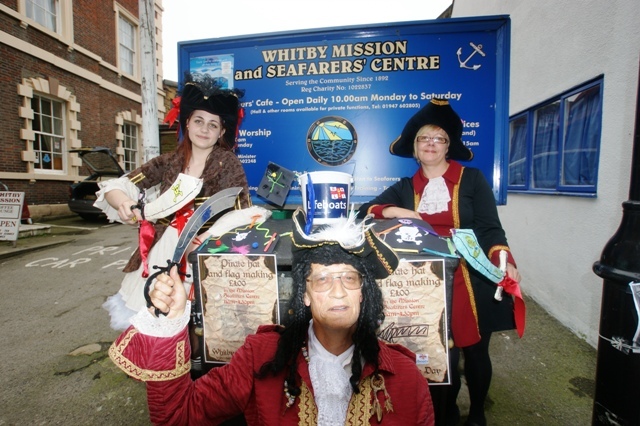 It was as ever a great day out for the family and an opportunity to support Whitby Lifeboat Station. 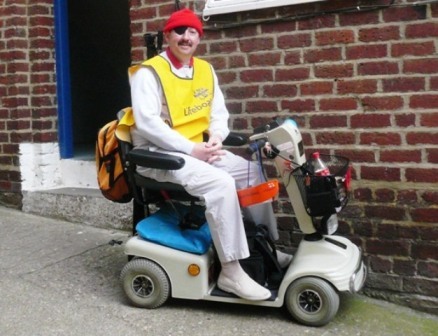 The link below takes you forward to the ongoing fundraising efforts in 2011.